Debbie Grifka | A Holiday Sweater you’ll love! 24 Jun A Holiday Sweater you’ll love! One of my favorite childhood sweaters was a red and white Nordic-inspired snowflake sweater. I’ve recreated the feeling I loved with my new Holiday Sweater quilt pattern. 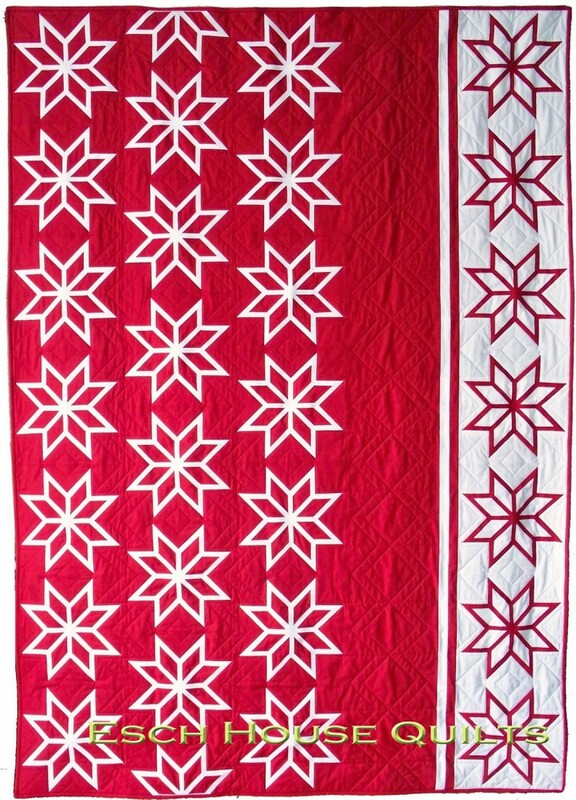 This is exactly the kind of “holiday” quilt I want in my home – one that has a holiday feeling, but you can leave out after the New Year without feeling like it should be put away already. I think anything with red in it can stay out at least until Valentine’s Day! Of course, using holiday fabrics would add to the holiday feeling if you prefer. For my version, I used Robert Kaufman Kona in Rich Red and White. Holiday Sweater is made with fusible applique and includes instructions for lining your applique so the background color doesn’t change the snowflake color. The pattern includes five sizes from baby to queen. Kathy Koch of ThreadBear Quilting did the quilting for me on Holiday Sweater. We designed it to look a bit like the knit stitches on an actual sweater. As always, you can find paper copies of Holiday Sweater in my Etsy shop and PDF copies in both my Etsy and Craftsy shops. 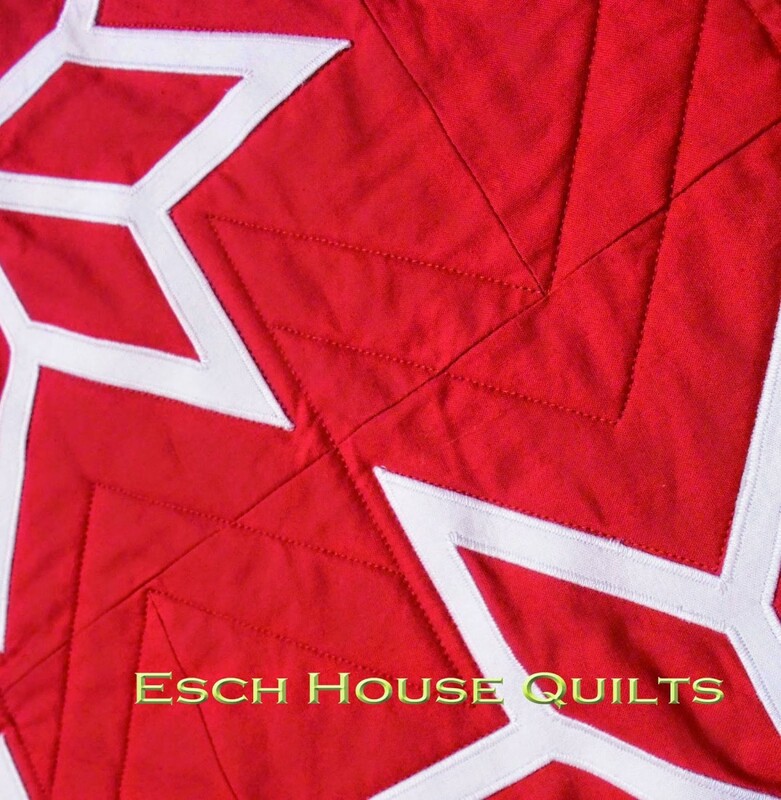 Quilt shops interested in wholesale may contact me directly or can buy through Checker, Brewer or United Notions. What does your favorite holiday sweater look like? Beautiful! I think it's the perfect winter quilt. Great design. I just got back from a day in Vail and this quilt would fit right in with the European flair of the ski village.